Note: Parameters (or arguments) are used in programs to increase flexibility of the code. 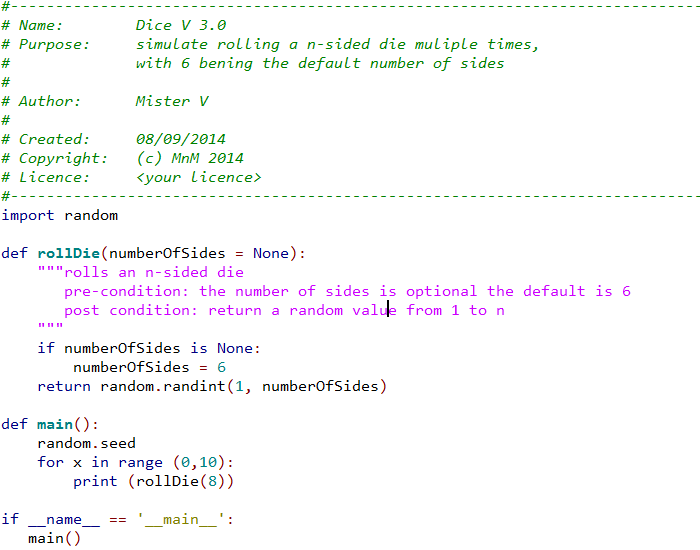 Refactor (modify) a copy of your Dice program. update the previous program documentation.